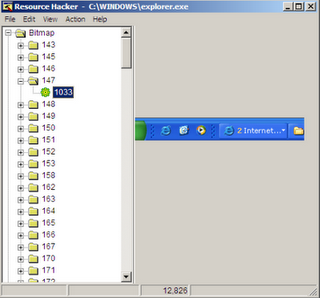 Keyloggers and Trojan can be onlye exe file so victims may be easily find it is some other softwares. Here is tutorial to bind the keylogger or trojan with the Image files(jpeg,gif) or movie files. 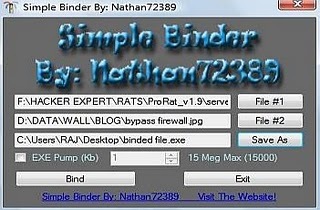 Weekend Binder can be used to bind two or more files under one extension and icon, If the binded file contains an application, the application also runs along with the actual binded files . How to detect Crypted Binded files? 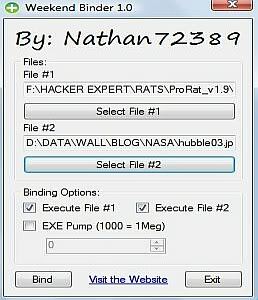 As I told you before that if a trojan or keylogger is binded with a file and it’s crypted in order to bypass antivirus detection then its very difficult to detect it, However there is a great piece of software called resource hacker which is really effective when it comes to keylogger protection, It detects whether the file is binded or not.